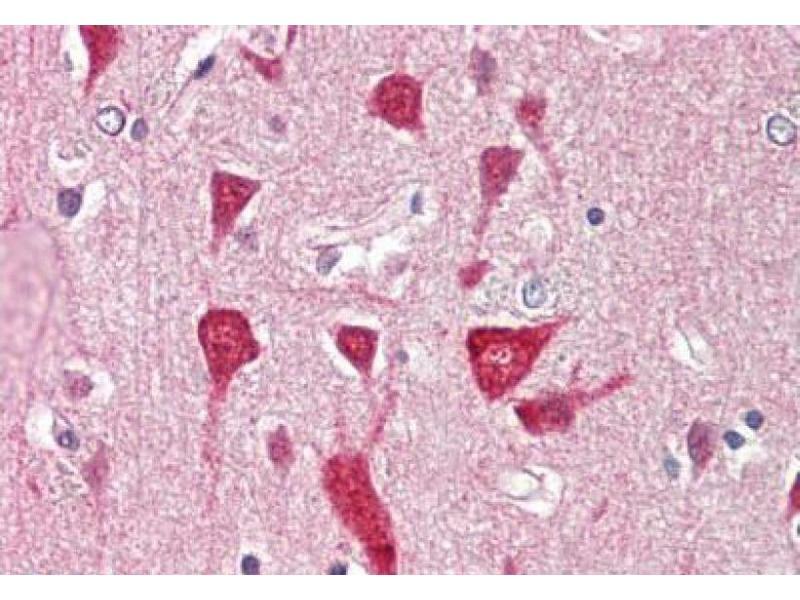 Formalin-Fixed, Paraffin-Embedded Human Brain, cortex stained with JM4 / PRAF2 Antibody at 5 μg/ml after heat-induced antigen retrieval. 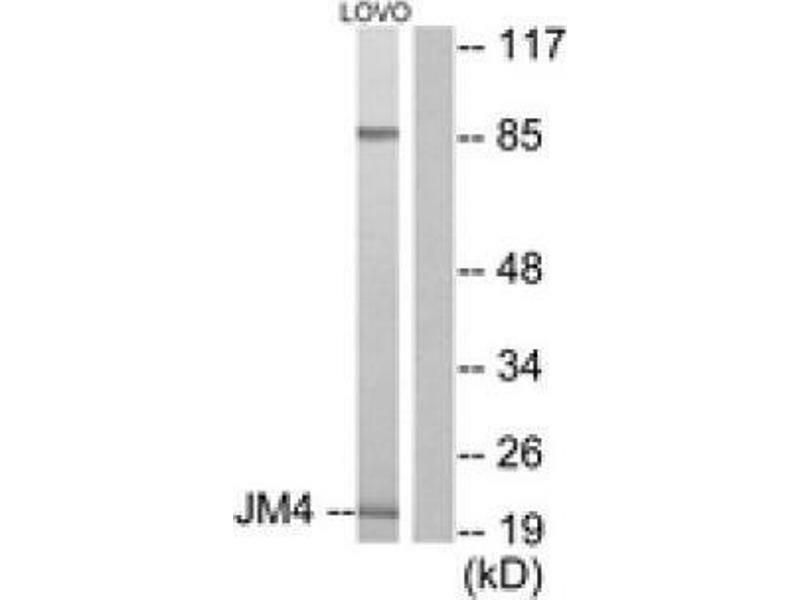 Western blot analysis of extracts from LOVO cells, using JM4 / PRAF2 Antibody . The lane on the right is treated with the synthesized peptide. 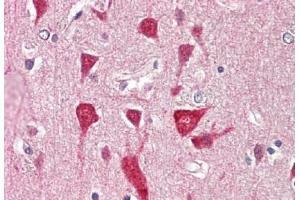 Cross-Reactivity (Details) Species reactivity (tested):Human, Mouse and Rat. 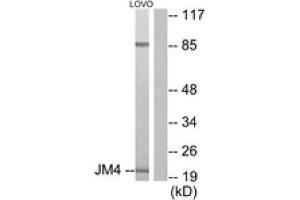 Immunogen PRAF2 antibody was raised against synthetic peptide from Human JM4. Epitope: C-Terminus.